NSIS can create Windows installers that are capable of installing, uninstalling, setting system settings, extracting files, etc. Because NSIS is based on script files, you can create both simple and advanced installers. The program files directory (usually C:\Program Files but detected at runtime). The common files directory. This is a directory for components that are shared across applications (usually C:\Program Files\Common Files but detected at runtime). The windows desktop directory (usually C:\windows\desktop but detected at runtime). The context of this constant (All Users or Current user) depends on the SetShellVarContext setting. The default is the current user. The location of the installer executable (technically you can modify this variable, but it is probably not a good idea). The windows directory (usually C:\windows or C:\winnt but detected at runtime). The windows system directory (usually C:\windows\system or C:\winnt\system32 but detected at runtime). The start menu programs folder (use this whenever you want $STARTMENU\Programs). The context of this constant (All Users or Current user) depends on the SetShellVarContext setting. The default is the current user. The documents directory. 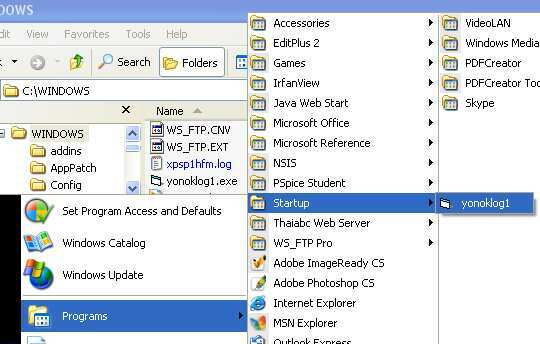 A typical path for the current user is C:\Documents and Settings\Foo\My Documents. The context of this constant (All Users or Current user) depends on the SetShellVarContext setting. The default is the current user.